Zaytoven’s new mixtape Trapping Made It Happen is out later tonight, and the tape features quite the star-studded lineup. 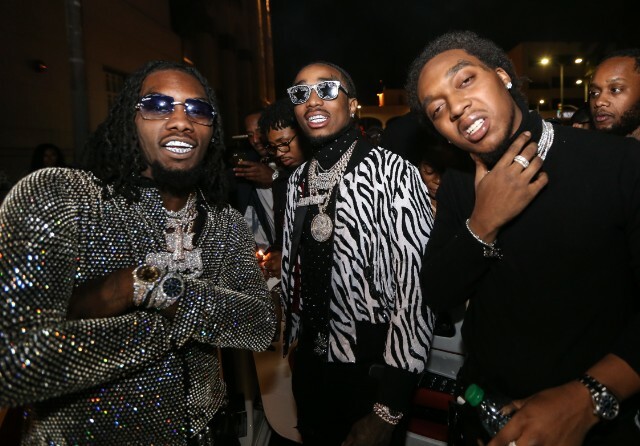 Including guest verses from Juicy J, Chief Keef, Lil Uzi Vert, OJ Da Juiceman, and Young Dolph, the release also features a standout collaboration with Young Thug and Migos titled “Five Guys.” Literally made by five guys (I guess excluding any engineers who maybe worked on the track in postproduction? Who knows! ), the single was shared via Worldstarhiphop, and can be heard below. Trapping Made It Happen follows Zaytoven’s Zaytown Sorority Class of 2017 tape from earlier this year, and recent Migos collaborations with Cardi B, Nicki Minaj, and Marshmello. Check out “Five Guys” below.